Following on from last year’s hit hide-and-seek book Where’s the Unicorn?, the Seven Unicorns of Rainbow Valley are back with 17 colourful brand new locations to search. 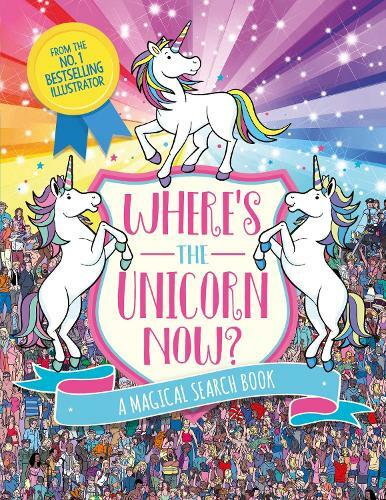 Michael O'Mara presents the hotly anticipated sequel to the 2017 bestselling title Where's the Unicorn? The Seven Unicorns of Rainbow Valley have become a worldwide sensation. Due to popular demand, they are off on a tour to meet their super fans. So where are the unicorns, now? Seek them out in every scene - from the bright lights of Broadway to the excitement of Rio Carnival.